In late April, Canonical released the final stable release of Ubuntu 18.04 Bionic Beaver. As it’s an LTS release, it’s of greater importance than other Ubuntu releases with nine-month support cycle. 18.04’s release also meant that the work on the next release has started. Note: This article will be updated continuously over the course of next months to add newly discovered information and more Ubuntu 18.04 features. 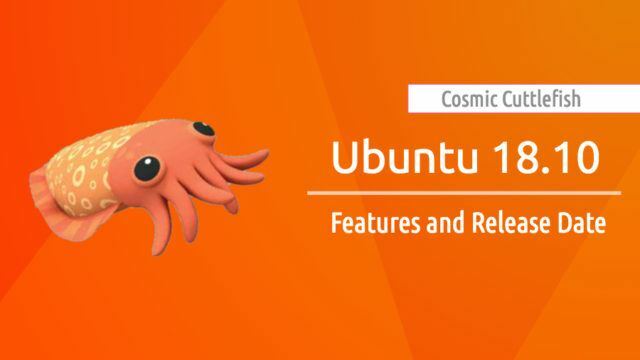 Ubuntu 18.10 codename is “Cosmic Cuttlefish” — as announced by Canonical founder Mark Shuttleworth. 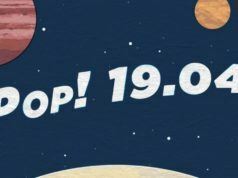 “It’s time to turn our attention to the road ahead to 20.04 LTS, and I’m delighted to say that we’ll kick off that journey with the Cosmic Cuttlefish, soon to be known as Ubuntu 18.10,” he wrote on his blog post. While Cosmic name doesn’t need any explanation, Cuttlefish are marine animals of Sepiida order; despite their name, they aren’t fish. Squid, octopuses, and nautiluses are other animals of Cephalopoda class to which Cuttlefish belong. Earlier, it was being predicted that 18.10 will be called Cosmic CANIMAL, as it was the name appearing on Daily Build page. Generally, Mark Shuttleworth reveals the next official Ubuntu codename after a release and this happened this year as well. In case you are an Ubuntu user, you would be knowing that Canonical follows alphabetical order. 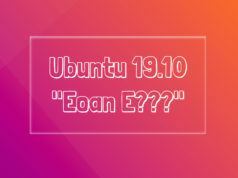 As Ubuntu 18.04 was named Bionic Beaver, 18.10 is a combination of two names starting with letter C.
Canonical is yet to announce an official release date for Ubuntu 18.10 Cosmic Cuttlefish. It goes without saying that it’ll release in October and it won’t be wrong to predict some date towards the end of the month. We’ll be posting the complete Ubuntu 18.10 release schedule once it becomes public. Again, as the next release is in the very early phase of its development, we still need some time to track the process and list the major features of Ubuntu 18.10. However, few changes and features are expected to be included, so I’m listing them here. As GNOME 3.30 is scheduled to arrive on September 6, 2018, there are good chances that Ubuntu 18.10 will ship with the same or some newer point release. Linux kernel has already crossed 6 million Git objects. It means that next release, i.e., Linux 4.17, could be Linux 5.0. This means that Ubuntu 18.10 could ship with Linux 5.0 or later. A major Ubuntu feature that was expected to ship with 18.04 was the new theme and icons. However, due to many outstanding bugs, these features were pushed to 18.10. So, be prepared for a new GTK theme to give Ubuntu desktop a new look. From Ubuntu 18.10 Cosmic Cuttlefish, the desktop team has decided to ditch the Alpha and Beta milestone releases; they’ll be replaced by Testing Weeks, organized from Tuesday through Thursday. It’s being done to ensure better testing and bug fixing process. Due to its higher decompression speeds as compared to Gzip, etc., Facebook’s Zstd compression algorithm is becoming popular. To improve the speed, Ubuntu 18.10 could ship with Zstd turned on by default. The Ubuntu Studio team plans to reboot their Linux distro for next Cosmic release. In their language, they are ready to bring a little “shock” and “awe factor.” The devs are also open to ditch Xfce desktop and go for an alternative. Lubuntu is another distro that’s gearing up for big changes in 18.10 release. The development team of this lightweight distro has finalized to ship LXQt as the default desktop environment. As per the latest development, the Ubuntu 18.10 Cosmic Cuttlefish feature addition and usual development have started, and the Daily Images are available for testing. As these are builds from a very early stage, you’re advised to avoid installing them on your primary machines. 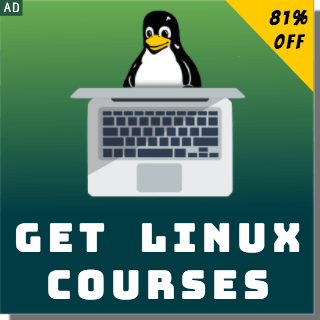 Instead, use a virtual machine or a spare computer lying around. Visit this link to download Ubuntu 18.10 Daily Images. 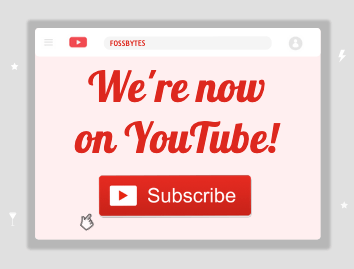 Note: This article will be updated continuously over the course of next months to add newer information.